Save The Rock Island Trail! Over the last few months one of our greatest treasures not only to Peoria but Central Illinois is slowly being washed away. When all discussion and local news has been pointed to the loss of homes and industry we forgot about the beautiful Rock Island Trail and its need for preservation. Its time has come to be noted as the areas greatest recreational trail system and be given the attention it is deserved. For more than a decade, the City of Peoria, the village of Peoria Heights and the Peoria Park District have been working to develop a recreational hike/bike trail on the right-of-way of the Kellar line that runs 8.9 from Pioneer Park to Adams Street.The Peoria Park District has secured grants to complete most of the trail construction with an asphalt surface. The southern 2.2 miles at the southern end of the Kellar line will remain intact to service O’Brien Steel Fabrication and the 6.3 miles of right-of- way through Peoria Heights and Peoria will become the trail and will end at Harvard Street where it will link up with the route through Springdale cemetery. While we tend to think this is the most important part of the trail is within the Peoria area. We would be wrong. This trail spreads from Downtown Peoria all the way to Toulon with as many as five more towns in between. The RIT is and will always be my favorite escape from the city life in Peoria and watching it fall apart over the last few months due to the pour weather has been a horrible and terrifying experience. The changes that have been made by drastic amounts of water to the trail has been detrimental to all of the progress that has been made over the past 20 years. If something isn’t done soon this treasure will be lost or damaged for a very long time if not forever. While having a discussion with the President of Friends of The Rock Island Trail he said that the most rewarding and motivational moment in his 20 plus years of being president was “seeing the smile on a child’s face riding on the trail for the first time” and loosing that experience would mean loosing a whole generation of outdoor enthusiasts and supporters of the RIT. Lets not let this happen. The following pictures are of the Spoon River erosion and how it has worsened to the point that it is no longer safe to pass. 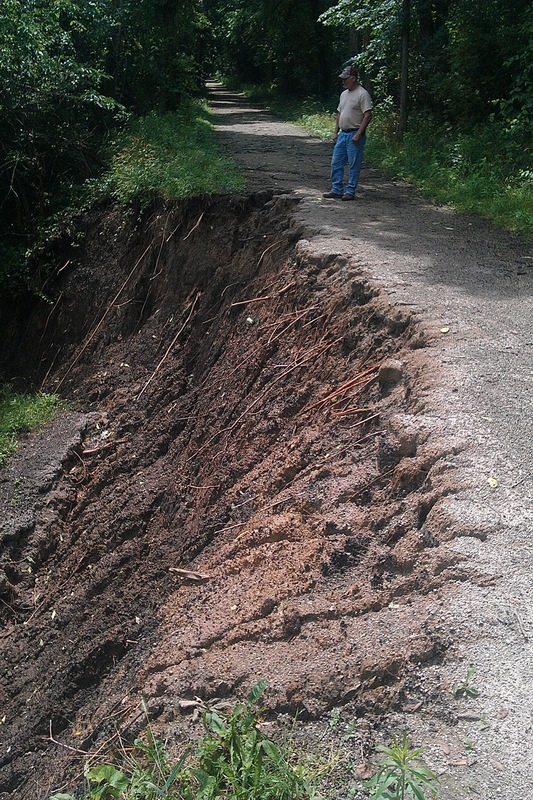 Also a section of trail has been washed out between Streitmatter Rd and County Line Rd. It is approximately 25 feet across and 10 feet deep. The trail is now closed in this area as well as the previously closed sections from Wyoming to Toulon. 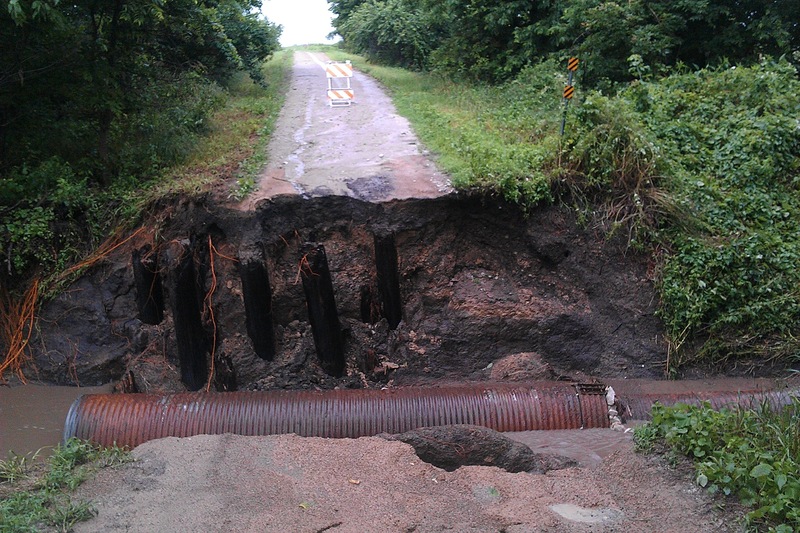 This washout severs the trail continuum between Wyoming and Princeville.